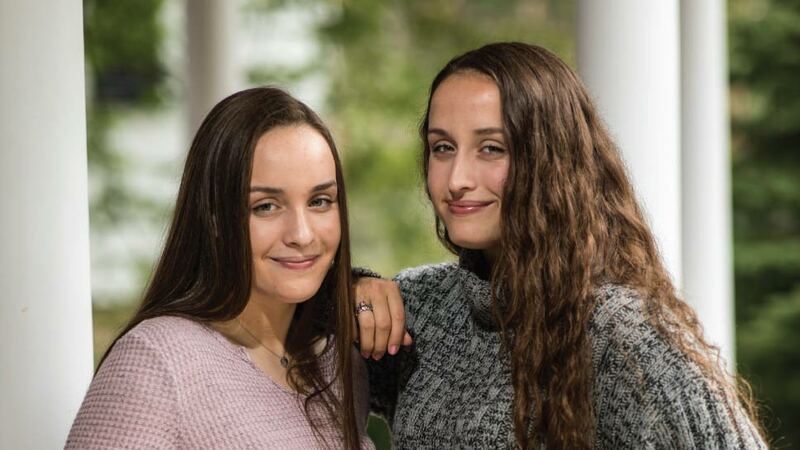 As twins, it may not be surprising that Hinsdale Central seniors Rachel and Hannah Fuechtman have experienced just about everything together. But while some twinsies might opt to live separate, yet parallel lives, once they get to school, these two chose to not only be swimming teammates for a decade but to also build houses together for two years with the school’s Habitat for Humanity club. They especially anticipate their third trip to White Sulphur Springs, West Virginia this June. It’s the chance to continue meaningful work with old and new friends. As 18-year-olds, they can work on the roof for the first time. They also can display their growing mastery of tools, such as the power drill. The Fuechtmans are grateful for each other but have built different interests they’ll pursue at different schools. Hannah probably will major in history and Rachel biomedical engineering while continuing to swim competitively. They’re already been through a lot, even in their earliest days. The Fuechtman twins were supposed to be born February 16 but instead arrived December 18, remaining under intensive care for more than two months. Hannah had a hole in her lung and Rachel stopped breathing and needed resuscitation. Parents Peggy and David Fuechtman had kept their genders unknown. Neither expected twin girls. The girls have been club swimmers since second grade. The family pool since sixth grade has played host to many team gatherings. With both being sprint freestylers, they have shared numerous competitive moments—often against each other in the same race. The past two seasons at sectionals, Rachel has helped Hinsdale Central relays qualify for the state meet but has never competed there. Their names stand together on the school’s frosh-soph record board for the 200-yard free relay with seniors Reilly Hayes and Kiernan Lynch (1:39.24 in 2016). Swimming also has led to being Oak Brook Bath and Tennis Club youth coaches the past two summers and their interest in Habitat for Humanity. Dan Otahal, the club’s teacher co-sponsor with Kelly Griffin, is an assistant girls swimming and diving coach to Bob Barber. As freshmen, the Fuechtmans participated in the club’s fundraising events to help finance the annual house-building trips. They joined as sophomores and became student leadership board members as juniors. Otahal said about 40 of the 200-plus students in the club and a dozen chaperones make the one-week June trip to build upon the foundation laid by another HFH group. Families having houses built are required to assist in the construction. Last year’s volunteers included the father whose family’s house was built by Hinsdale Central’s 2017 group. Both are photographers for the school yearbook. Rachel enjoys taking spontaneous photos of people while Hannah prefers photographing nature. Rachel gained interest in biomedical engineering from her aunt, an engineer, and her mother, a nurse. Rachel is a board member of the school’s Women in Engineering club. Hannah, who may become a history teacher or lawyer like her father, is in the school’s top choir and has been an ensemble member in musicals, including a piece of seaweed for The Little Mermaid. A professed non-singer, Rachel often attends Hannah’s performances multiple times.